Steam cleaning is completely natural, safe for driver/passengers and vehicle, and absolutely effective. It can provide dramatic results at a price you can afford. At Wash Me Now, you can be certain that our services are not going to use dangerous chemicals or other things that are simply not necessary in the cleaning of your vehicle. The advantages are numerous. If you are looking for a powerful, comprehensive way to clean your vehicle, the first thing you want to do is learn more about it. As you can imagine, we are talking about a very long list. Cleaning your car isn’t something you really want to deal with. Obviously, we want our cars to be clean on the inside and outside, but then we get to the issue of actually cleaning the vehicle. We are talking about what seems like a ton of effort. At the end of the day, you may also feel like it just isn’t worth the trouble. It is different from anything else you have encountered. This is a straightforward process that can clean your car from top to the bottom in the most profound way possible. It can leave your vehicle looking as though you just drove it off the lot. 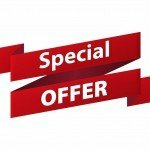 When you compare steam cleaning to some of the other options that are available to you, it will be easy to see why more and more people now see it as the best solution for protecting their car or truck. If you are eager to decide whether or not steam cleaning is right for you, here are a few things that you can appreciate in greater detail. Odors: Cigarette smoke, spilled food and drink, animals, and children are all things that can create some pretty gross smells in your car. It eliminates all of them. Fabrics: Steam cleaning goes deep on the fabrics inside your car. It not only works quickly to improve your fabrics, but it freshens them up to an absolutely extraordinary degree. Hard-to-reach places: One of the biggest advantages of steam cleaning is the fact that it works to get to places that other cleaning methods often miss. You will be able to work miracles with the dashboards, vents, and everything else that is normally a pain to clean. Fast drying: Best of all? The surfaces cleaned will dry quickly. In fact, they are going to be dry, almost as soon as you have finished the work. 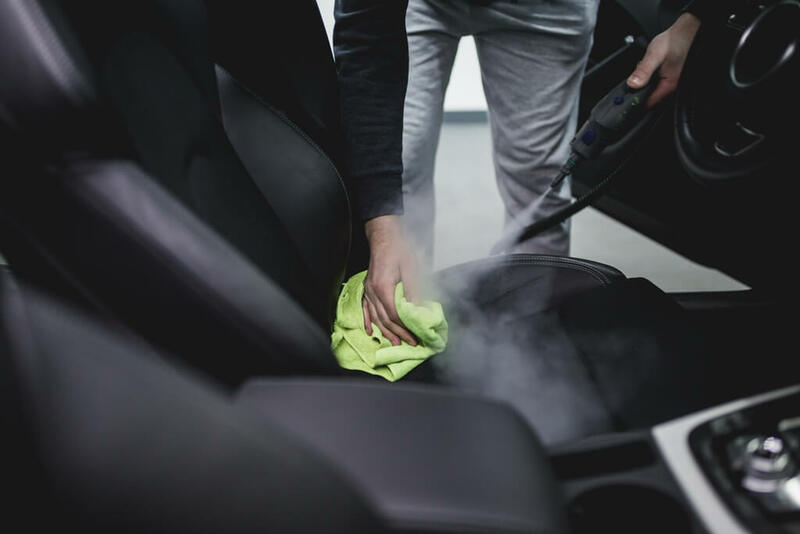 Getting the dirt off: Steam cleaning can work quickly to improve the interior of your vehicle. You will love the way it performs similarly well on the exterior as well. Even if your car is caked in vast amounts of dirt and dust, steam is going to take care of things. Toxic residues: As we mentioned before, cleaning is completely natural and safe. This also translates to an exterior that is not going to be covered in dangerous toxic residues. Streaky windows: Don’t you hate the streaks that are sometimes left after having your car cleaned? We do, too. That’s why we really like the fact that steam cleaning doesn’t leave those ugly streaks on your window. Wax and tar: These are things that can really damage the exterior of your car on a number of different levels. Getting this stuff off can be challenging, but that is only true with other ways to clean your car. Steam cleaning gets all of this stuff off. 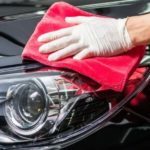 Cleans almost anything: Vinyl tops, whitewalls, and wheels are all difficult elements to clean, regardless of the specific vehicle that we are talking about. We haven’t even covered all of the advantages in the list above. Steam cleaning is quick, and it will almost certainly get the job done. At Wash Me Now, we can show you everything you will need to benefit from everything steam cleaning has to offer. This is work that can work nicely with your own busy schedule. It certainly takes a lot less time than some of the other options available to you.